Human population density and the rate of growth for an area depending on the number of individuals entering the population (birth and immigration) and the number leaving (death and emigration). - The variety of resources exploited by humans : renewable (e.g. timber and fish) and non-renewable resource (e.g. fossil fuel). - That human exploitation of natural resources has modified the environment. - the risk of renewable resources (e.g. timber) becoming a limiting resource. The effects of agriculture - deforestation as a means to clear land for agriculture and animal grazing. - soil erosion as a consequences of inappropriate agricultural practices. - The undesirable effects of chemical control of pests and weeds, and the excessive use of chemical fertilisers. Renewable fuels green energy is obtained directly from nature. For example, alcohol, ethanol and others. If this type of fuel in to take effect then the benefits will be even greater as for its production are truly green will not damage the environment. 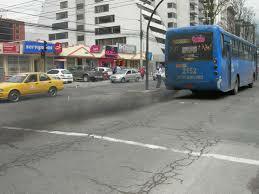 Use that does not leave enough emissions means environmentally friendly. Unlike the energy from petroleum that are likely to cause pollution and pollution levels are high. This is the main runway to distract society's habits from using private vehicles to become accustomed to using the vehicle of mass that are more efficient in fuel use. Even when necessary to cultivate activities drive using a bike and walk. Luxury vehicles are one of the main sources of pollution in the world. Because usually the higher the price of an item, the more emissions it generates. Therefore, reducing the number of luxury vehicles is equal to reduce the amount of greenhouse gas emissions. Should the purchase of private vehicles used on personal is the need to be restricted in a way the more a family buying the vehicle then the higher price (taxes). For example the first purchase price of 100% of the purchase price to the two, 150%, 200% price third purchase. This effort was done to limit rapacious nature within the community, that one just enough where it's best to ride public transportation. 5. Make the high parking fees for a central area (central – the center of the crowd). This is already in the set in various developed countries of the world. To keep the area from urban congestion and emissions due to the explosion of gas effluents (pollutant) excessive then ordain high taxes for each parking area. This is done so that the community resorting to public transport. 6. Set the high taxes for the construction of a luxurious private homes and luxury buildings floored a lot. Preferably, the construction of a luxurious private facilities need to be on the limit because consuming natural resources and electricity. Therefore, restrictions on the construction of this kind it is recommended to minimize the damage to the local environment. 7. Build a classy apartment. Rather than build luxury homes that take up a lot of places, better Government build the kind of flats/apartments facilities are better and belongs to the class. This is very efficient in terms of land use so that the forests were not cut down everything for the residential community. Apartments/flats can also wake up to the needs of the community by secondary economy down. This is a benefit received by the farmers of environmental preservation efforts. The reason for these rich people generating pollutants and various factors of destructive natural polluters around. While farmers have the vast fields along with the plants in it to absorb all the pollution generated by the activity of the technology. This is an attempt by the Government to create a new trend in order that society already affluent did not squander his money for something that is potentially damaging to the environment but spend it for other more useful activities.